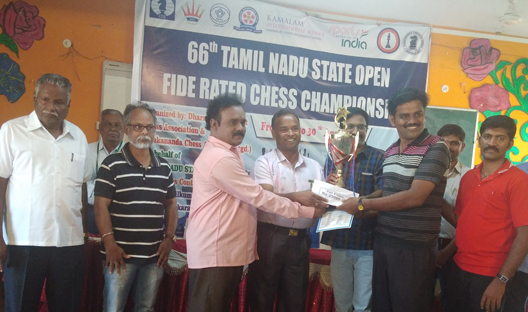 Ram S Krishnan of Chennai emerge as winner of 66th Tamil Nadu State Open FIDE Rated Chess Championship-2018, on better Tie Break score. The 66th Tamil Nadu State Open FIDE Rated Chess Championship was held at Kamalam International School, Dharmapuri from 26th to 30th April 2018 organised by Dharmapuri District Chess Association & Vivekananda Chess Academy. The Event was inaugurated on 26th April 2018, by Mr. Stephan Balasamy, Secretary, Tamil Nadu State Chess Association, in the presence of Dr. P. Subramanian, Dr. Kamalam Subramanian Founders, Kamalam International School, Mr. C. Muthukumaran, Correspondent, Kamalam International School, Mr. G. S. Rajendran, District Sports & Youth Welfare Officer, Dharmapuri & Mr. M. Senthilvel, Joint. Secretary, Tamil Nadu State Chess Association. Mr. V. Senthil kumar, Secretary, Dharmapuri District Chess Association Welcomed the gathering and Mr. P.Rajasekaran of Vivekananda Chess Academy gave the Vote of Thanks. Total 214 Players from 27 Districts of Tamil Nadu had participated in the prestigious championship. Master. AL. Muthiah of Tiruvallur was the top seed, 136 rated players along with 78 unrated players participated. Notable participants are International Master Ramanathan Balasubramaniam of Chennai, FIDE Master Mr. Rathanvel V S of Coimbatore, Woman FIDE Master Lakshmi C of Chennai along with many more former State & National Champions contest for the title of this event. At the end of 5th Round Mr. Manu David David Suthandram R of Chennai, took the sole lead with full 5 Points. 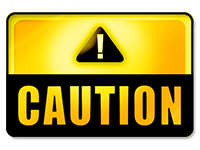 In the 7th Round FM Rathanvel V S of Coimbatore beat Mr. Manu David David Suthandram R of Chennai and took the sole lead with 6.5/7 Points, In the penultimate round FM Rathanvel V S of Coimbatore was held to draw by Mr. B. Sekar of Chennai, Former Tamil Nadu State Champion Mr. Ram S Krishnan of Chennai won his game in the 2nd Board against Mr. Barath Kalyan of Thiruvarur. In the final round FM Rathanvel V S of Coimbatore and Mr. Ram S Krishnan of Chennai both were playing against each other in the top board with 7 point each and they drew their game. 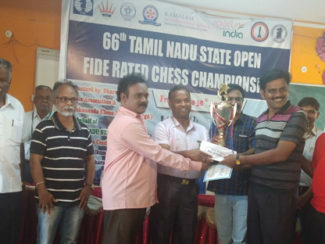 Mr. Ram S Krishnan of Chennai with 7.5 Points out of 9 Rounds and with better tie break score he became the champion of 66th TN State Open FIDE Rated Chess Championship and carried home a winners pursue of Rs.25000/- & Trophy. Followed by his district meet Master Harimadhavan of Chennai followed by Rathanvel V S of Coimbatore followed by Mr. Muthaiah Al of Tiruvallur followed by Harsavrdhan G B of Chennai all with 7.5points and placed 2nd 3rd 4th & 5th respectively as per their tie break score. On 30th April 2018 Mr. C.Muthukumaran, Correspondent, Kamalam International School presided over the Prize Distribution function and gave away the prizes to the winners in the presence of Mr. M. Senthivel Joint Secretary, TNSCA , Mr. K Gopalakrishnan Former Treasurer TNSCA, International Arbiter. P. Palaniappan, Chief Arbiter along with the office bearers of Dharmapuri District Chess Association.